stream presents a major problem for producers, retailers, consumers, policymakers, the recycling industry and wider society. It wasn’t so long ago that most unwanted electrical items ended up in landfill. Some white goods (washing machines, fridges, dishwashers etc.) might have found their way to scrap yards alongside unwanted vehicles. Environmental and safety standards were poor and the industry suffered from a lack of investment. This was most problematic for fridges, which had proved a significant challenge for the recycling industry since it was discovered that the chlorofluorocarbon (CFC) gases contained in them contributed to ozone depletion if leaked into the environment. Newer pentane fridges may not damage the ozone, but their explosive potential makes them no less difficult to reprocess at end of life. The fridge mountain crisis of the early 2000s, which was caused by the lack of investment in reprocessing capacity for CFC fridges, is now a thing of the past. However, there is still general underinvestment in recycling capacity for larger electrical items in the UK – and we risk a repeat of that crisis if this is not addressed. Last summer, we launched AO Recycling in a bid to meet some of these challenges head-on and to take a lead on the issue of WEEE recycling. The company’s first priority has been to build a state-of-the-art new recycling facility in Telford, Shropshire. 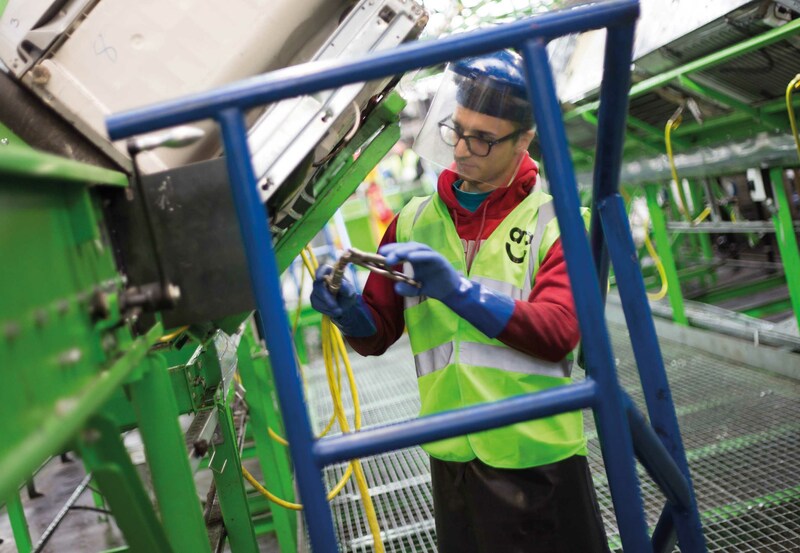 The £10-million plant has set new standards for WEEE reprocessing with increasing levels of recyclate, gas, oil and refrigerant recovery. AO Recycling is about taking responsibility for our customers’ waste electrical appliances. We also want to make it easier for customers to recycle and for them to have peace of mind that it will be done to a high standard. are either recycled or, if possible, refurbished for resale as secondhand items. Every year, the plant will reprocess 700,000 fridges – about one fifth of the 3.5 million thrown away annually in the UK. their valuable compressors. These components have for many years proved a big headache for the legitimate waste processing industry, as their illegal removal can provide rich pickings for unscrupulous operators who often dump the unwanted fridge carcass once they have taken the compressor out. At our plant, these gases and oils, as well as refrigerants, are carefully and safely removed. The remains of the fridge are then deposited inside an 80-tonne shredding machine. The crucial thing is that nothing is wasted – as much value is extracted from the waste as possible. But for a facility like AO Recycling’s to reach its full potential, we need to change our whole approach to WEEE recycling in the UK. It’s with this in mind that AO.com recently contributed to a government consultation on proposed new amendments to UK WEEE Regulations. The key change that needs to happen is to switch from household disposal of WEEE items at end of life to retailer collection. In other words, it needs to be made easier and cheaper for consumers to return their unwanted appliance to the retailer when they buy a new one. This approach is good for the consumer and the environment. Currently, there is about a one-in-four chance that an old appliance will be taken back by the retailer when a customer buys a new one. Our aim is to see this increase significantly in the coming years. need improving, with a requirement for greater transparency, including league tables for processors and a ratings system allowing customers to draw comparisons between different suppliers. In return, processors must be paid a fair price for the resources they extract from waste. the producer and the processor. Every part of the industry needs to work together to increase home collections so that this becomes the future ‘norm’ for consumers. A failure to address these pressing challenges right now risks storing up problems for future generations to deal with. However, the potential rewards for bold action now are high. 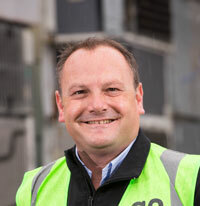 Online electrical products retailer AO has completed the acquisition of The Recycling Group (TRG) and established a new recycling branch, AO Recycling, which aims to recycle a fifth of the UK’s waste fridges every year.